David R. “Chip” Barry, Jr., a partner at Corboy & Demetrio, has been named the Chicago Medical Malpractice Lawyer of the Year for 2014 by Best Lawyers. 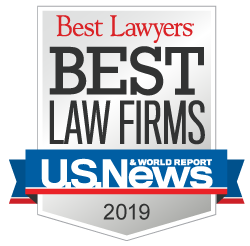 Barry was also selected for inclusion in The Best Lawyers in America 2014 in the area of Medical Malpractice – Plaintiffs for the third consecutive year. “I have had the benefit of some great mentoring in my career. This award really belongs to those who have taught me and the great support I have at Corboy & Demetrio, Barry said. “I am very honored,” he added. Chip Barry’s experience as a medical malpractice lawyer is extensive and record of success unparalleled. During the past ten years, Chip has obtained nearly $200 million on behalf of his clients. In one of his record-setting cases, a jury awarded $22 million to the family of a 34-year-old mother who died after childbirth when the doctor and nurse failed to properly treat her acute high blood pressure. It is the largest verdict ever for a Chicago personal injury lawyer in a medical malpractice case in Illinois for the death of a woman. The depth of Chip Barry’s experience also comes from 21 years of representing defendants in medical malpractice cases before he joined Corboy & Demetrio as a partner in 2002. Chip was recently inducted into the prestigious, invitation-only, American College of Trial Lawyers. He is Immediate Past President of The Society of Trial Lawyers. He has served as President of the Trial Lawyers Club of Chicago and is a member of the Chicago Bar Association, Illinois State Bar Association, American Bar Association, Illinois Trial Lawyers Association and the American Association for Justice.